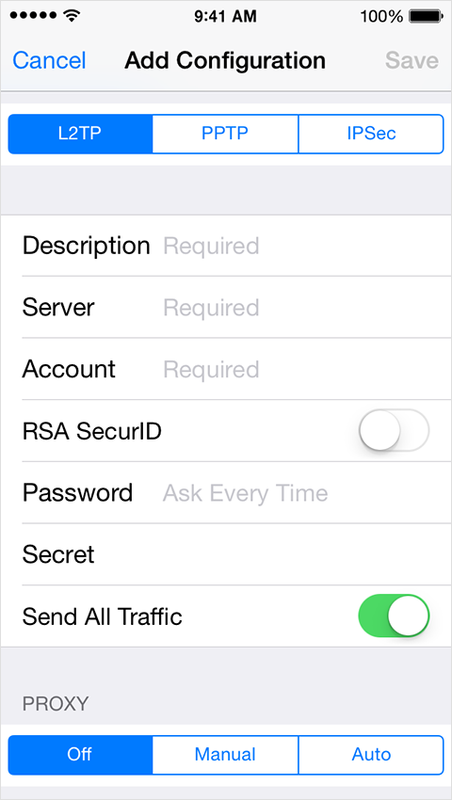 In most cases the set up is similar to a VPN on your computer, you can use the same settings on your device. 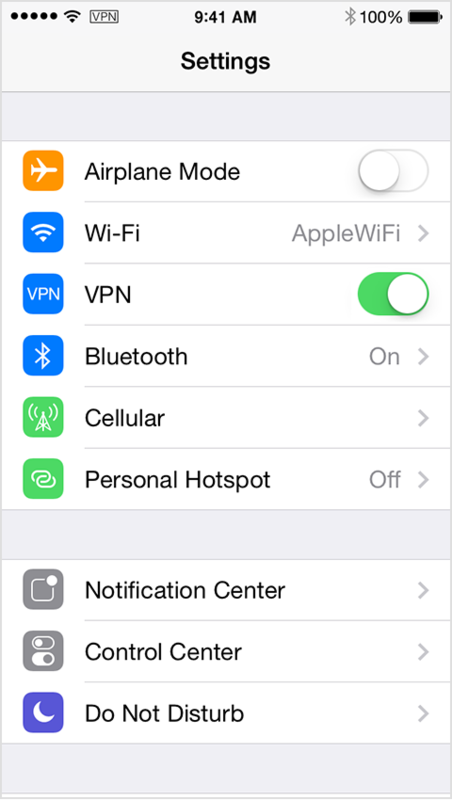 After you create a VPN configuration, the option to turn VPN on or off appears in Settings. When you connect using VPN, the VPN icon appears in the status bar.